Step up your filmmaking by taking control of the light! 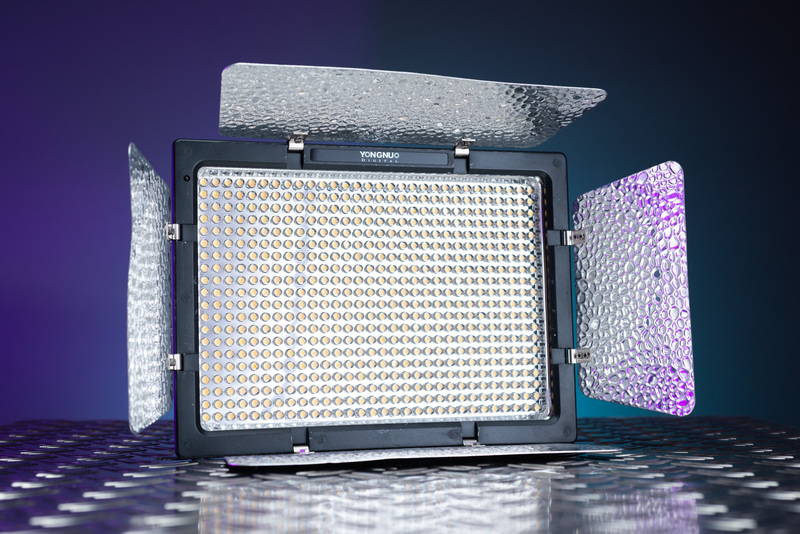 Yongnuo has managed to suprise us with the quality of light these LEDs produce. The color rendition is very true to life, with almost no trace of the green skin tones, yellow teeth and flat blue hues usually associated with LEDs. You won’t experience any light flicker or color shifts as you adjust the power. You can film at all the usual frame rates up to 60p without any worries. What these lights win in color fidelity they lose in luminance. You won’t be overpowering the sun with these. Best suited for indoor filming.